Store Magazine, the official magazine of the National Retail Federation, reports that millions of dollars are lost annually due to fires, natural hazards and similar perils. Even if insurance pays your claim, the fire may eliminate or damage inventory. This gap in service puts you at risk of losing customers to your competitors, which could put you out of business. 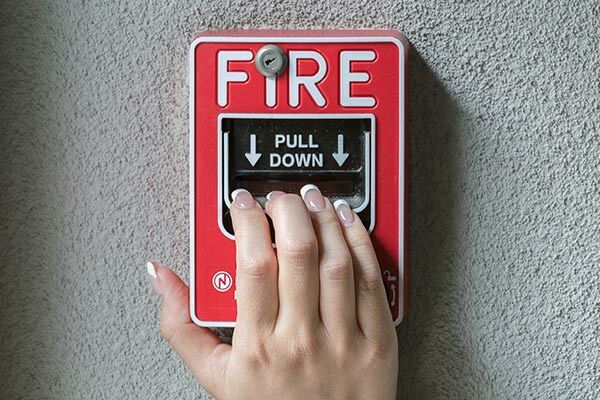 Secure your business from fire with a fire system designed and installed by our trained experts. Regardless of the size of your business, our fire detection systems offer affordable, reliable protection that fully complies with stringent fire codes. Pull stations allow manual activation of the system while our monitored smoke detectors increase your protection. Another option to consider is a water flow supervised system, which reports to the Central Station whenever water begins to flow through a company's sprinkler system.